Sometimes you just need to dance. 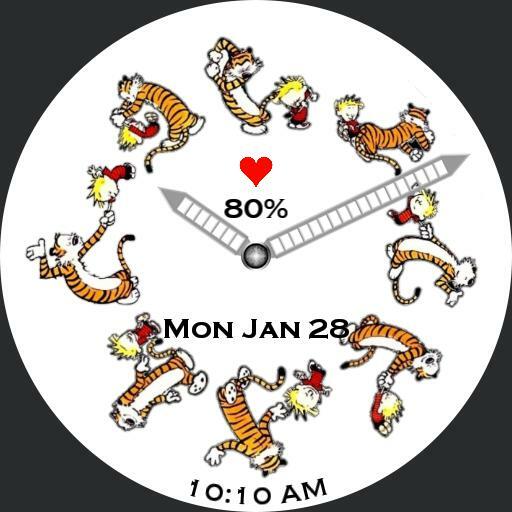 A fun watch face which shows time, date and watch battery level percentage. Tapping on the heart will launch Samsung Health. Tapping on the date launches the calendar app and tapping on the centre knob launches the weather app. Tap actions applicable for Samsung Galaxy Watch only.